We have been invited to design and tailor a unique Nehru jacket for a gentleman’s wedding. 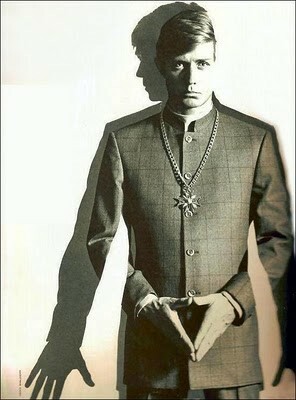 The Nehru jacket is a hip-length tailored coat for men or women, crated in India in the 1940s. The jacket essentially blends the collar of the achkan, historically the royal court dress of Indian nobles, with the Western suit jacket. It was popularised by Jawaharlal Nehru, the first Prime Minister of India. (Source: Wikipedia). More recently, the Nehru jacket was made popular in the 60s by no other than The Beatles. In August 2013, John Lennon’s teal nehru jacket, with mandarin collar and slightly flared sleeves was bought by a fan for £7,000 in an auction, reported the BBC. Bespoke Nehru Jacket Price: Contact Henry Herbert Tailors. 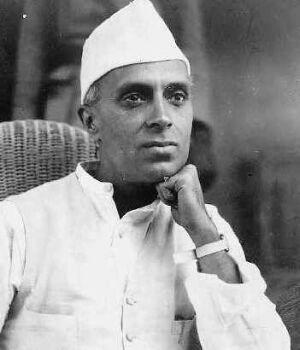 See also: black nehru jacket, first prime minister of india, Henry Herbert Tailors, Henry Herbert Towers, India, indian nehru jacket, Jacket, jawaharlal nehru, Nehru, nehru collar, nehru collar jacket, nehru collar shirt, nehru collar suit, nehru jacket, nehru jacket london, nehru jacket uk, nehru jackets, nehru jackets for sale, nehru mens, nehru shirt, nehru shirts, nehru style jackets, nehru suit, nehru suits, nehru suits for men, tailor, white nehru jacket. Video: Just what makes a good sports jacket? A touch of luxe: the velvet jacket. The Nehru jacket by Henry Herbert bespoke Tailors, London. Made to measure Nehru jacket by Henry Herbert Tailors, the bespoke shirt and bespoke suit makers, Savile Row, London.